Additional Info: Two Full Size Showers and Two Toilets. 40 inch TV/DVD in the lounge. Main Bedroom has a Kingsize bed and a 32 inch TV. Both Twin Bedrooms have a TV/DVD in each. All mattresses are comfort plus. 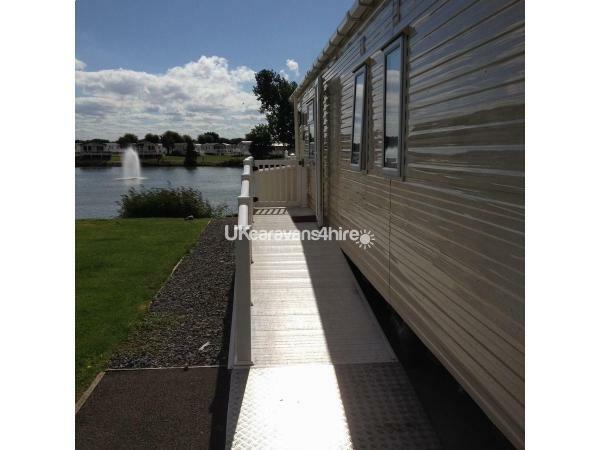 Private parking space next to the caravan. 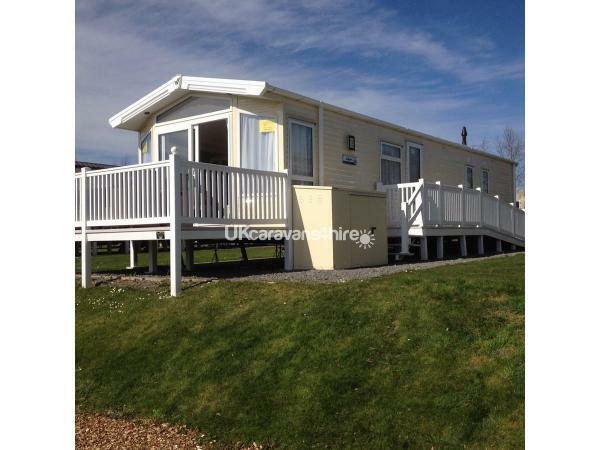 Our Holiday Home is top of the range 2017 Willerby Aspen which has its home from home comforts. 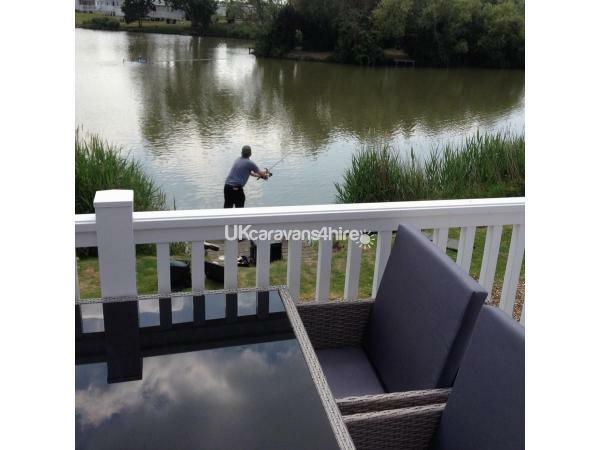 Just slide open the patio door from the lounge and step onto the veranda which directly overlooks the fishing lake. 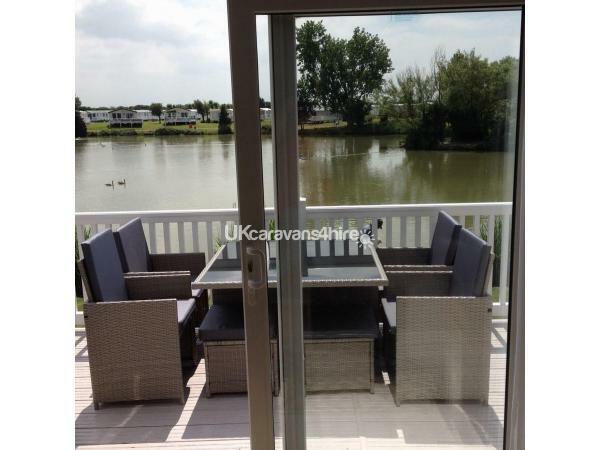 Enjoy yourselves relaxing in the sunshine with a glass or two or if you are a keen fisherman there is a fishing pitch just in front of the veranda. The large open planned lounge consists of L-shaped seating, 2 armchairs of which one swivels, 40" TV/DVD, coffee table, fireplace with gas fire. Built in Bluetooth speakers. Free standing Dining room table & chairs plus 2 stools. The kitchen is fully equipped with a full-sized fridge/freezer, Dishwasher, Gas Oven/Hob/Grill and extractor fan, Microwave, Toaster, Kettle, Crockery, Cutlery, Saucepans and Utensils. Main bedroom has a king size bed with comfort plus mattress for that extra comfort, 2 bedside cabinets, wardrobe with mirrored doors, Stool, USB point, 32" TV, hairdryer. Ensuite facilities include toilet, full sized shower, hand basin, shaver point, and plenty of shelving for storage. Both bedrooms 2 & 3 are twin rooms with 2 single beds in each room and all four beds are 2ft 6" with comfort plus mattresses. 19" TV/DVD, USB point, overhead lockers and a bedside cabinet in both rooms. 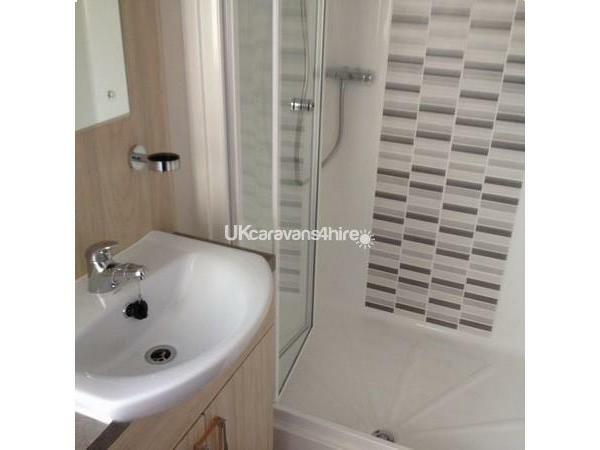 Spacious family bathroom with toilet, full sized shower and hand basin. Storage below the sink and cabinet on the wall. Shaver point. Duvets (1 king size, 1 double, 4 single) and pillows are provided but guests need to bring their own bedding and towels. 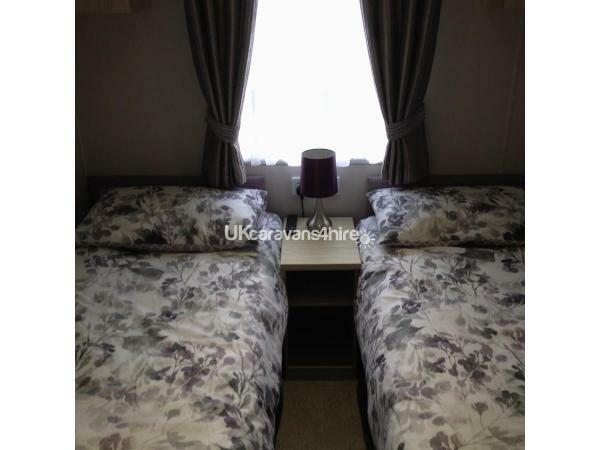 Bedding can be hired from Havens onsite launderette. Mattress protectors are on all beds, we ask that these are not removed. Entertainment passes are NOT included in the price but can be purchased from Haven reception. 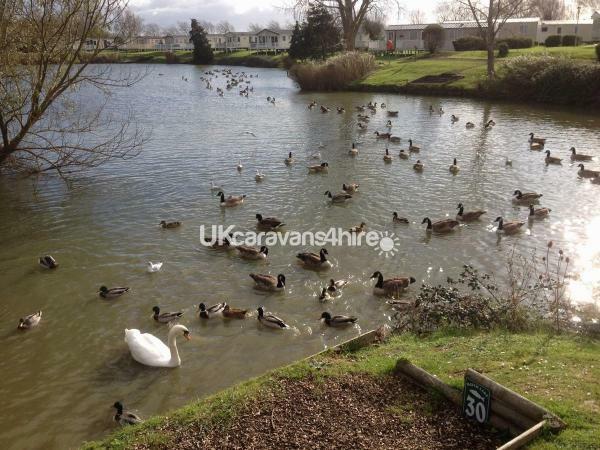 Burnham-on-Sea town centre and seafront is only a 10 - 15 minute walk away. Along the High street you can find pubs, cafes, restaurants, bakeries and other shops. Further into town there is a family run cinema called the Ritz and the Princess theatre. Weston Super-Mare, Cheddar Gorge and Caves, Wookey Hole, Brean Leisure Park, these are all just a few places you may like to visit. Asda, Tesco, Lidl are just a short drive from the site.